Japan’s Trade Ministry has revealed plans to launch the world's first futures market for liquefied natural gas on the Tokyo Commodity Exchange by March 2015. The move is expected to help the world's biggest importer to cut costs. 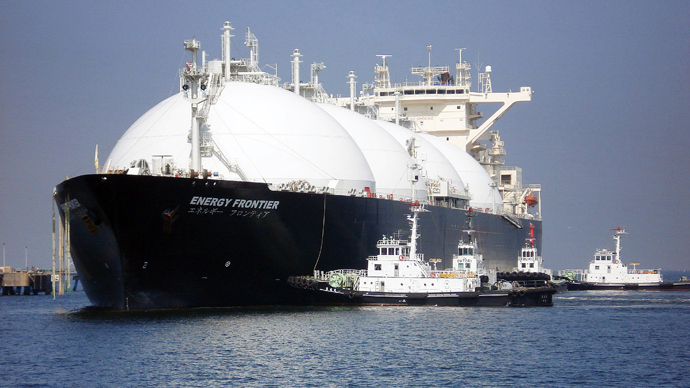 The futures will be for cash settlement in dollars and based on an index price for spot LNG cargoes delivered to Japan, reports Bloomberg quoting Takashi Ishizaki, the director for the commerce policy division at the Ministry of Economy, Trade and Industry. The contracts won’t be for physical delivery, but will allow Exchange Futures for Physical, or so-called EFP, transactions that enable traders to swap their futures positions for a physical holding. Japan is hoping to launch an accessible market for major Asian buyers including South Korea and Taiwan, and will consider asking exchanges in Singapore and the United States to establish similar LNG futures markets, the trade ministry official said. The price of LNG is linked to oil and currently costs more than $15 per million British thermal units (mmBtu) at the Asian markets, while the shale gas revolution in the US has pushed down prices there to just over $4 per mmBtu. Japan consumes around 30% of the global LNG demand. Imports rose significantly after the Fukushima Nuclear Plant tragedy in 2011. The country had to pay a record $64 billion for imported fuel in 2012, which is more than 25% higher than the year before.